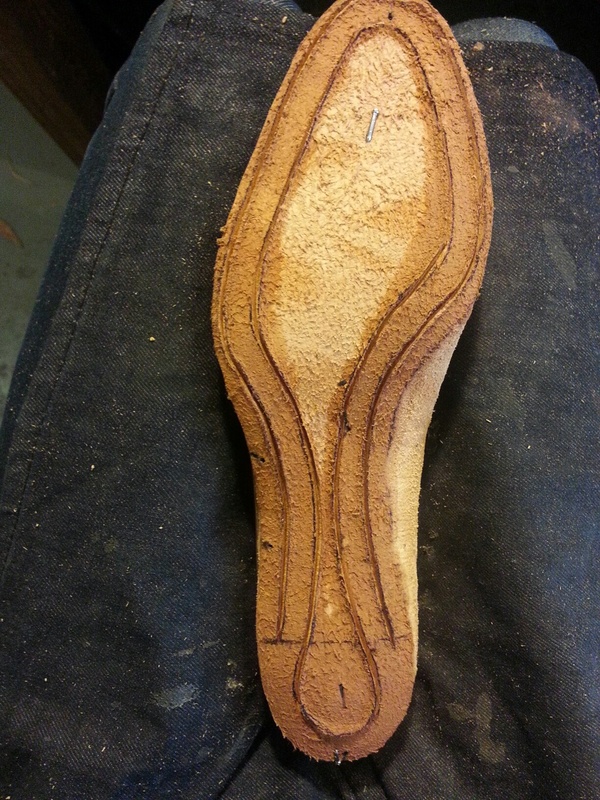 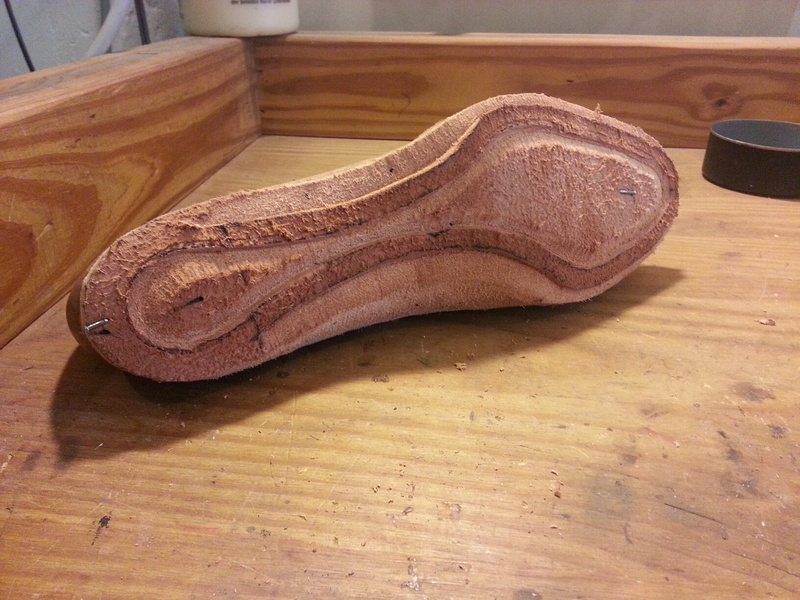 Insole “blocked” to the last. 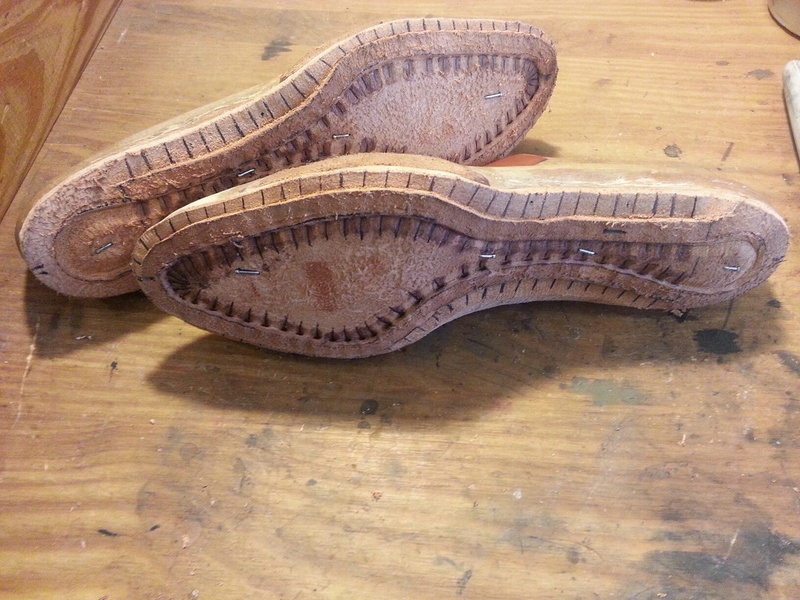 I use a combination of nails and stretch medical bandage to snug the leather to the last. 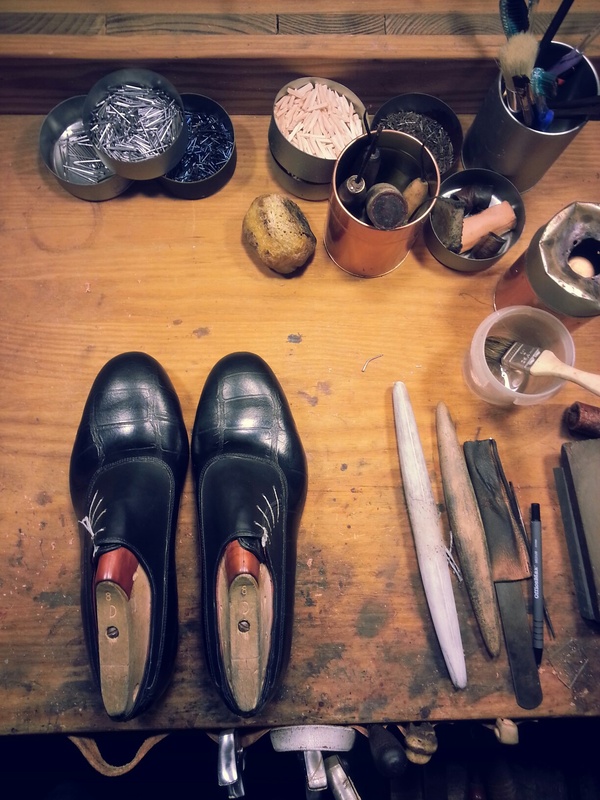 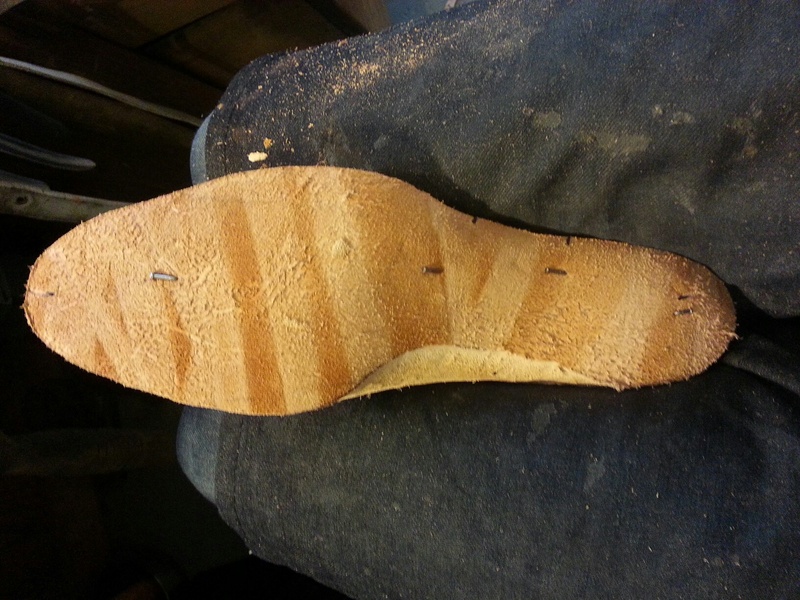 and finally I prefer to pre-punch the holes in the insole before I last the upper. 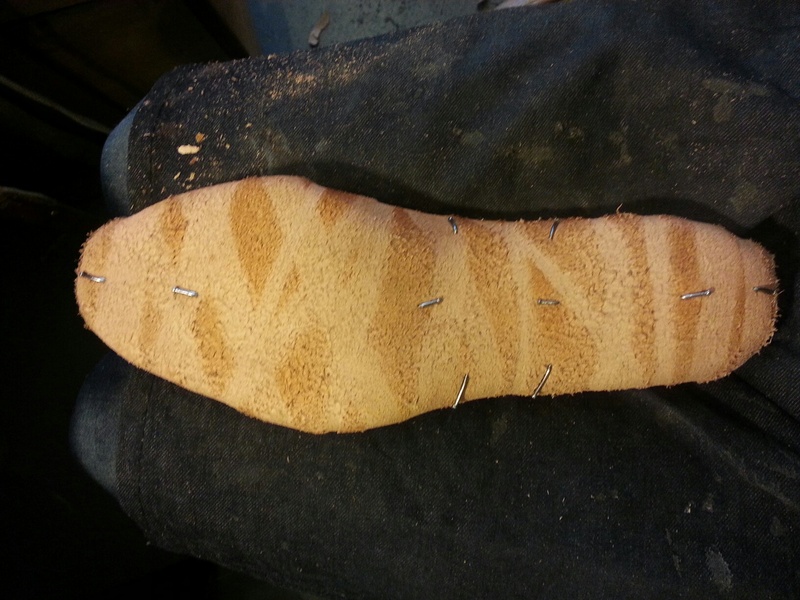 It is not necessary but it gives me a more even stitch.